The numbers are startling: women-led startups get just 2% of venture capital funding. Female tech leaders grapple with the same issues faced by women across economic lines: sexism, sexual harassment, and implicit bias. Recent headlines have highlighted sexism in business, but research shows plenty of women are still making it to the top. Companies with female leadership are more successful than companies with only men at the helm. Here are five inspirational women who led startups to success, in spite of the obstacles in their way. You may have seen the Super Bowl ad featuring Serena Williams for Bumble, a brainchild of Whitney Wolfe Herd. The ad was a first on different levels. First, it featured a female empowerment message. It was also by a woman in a television event commonly directed toward men, and it represented a new high for Bumble’s founder. 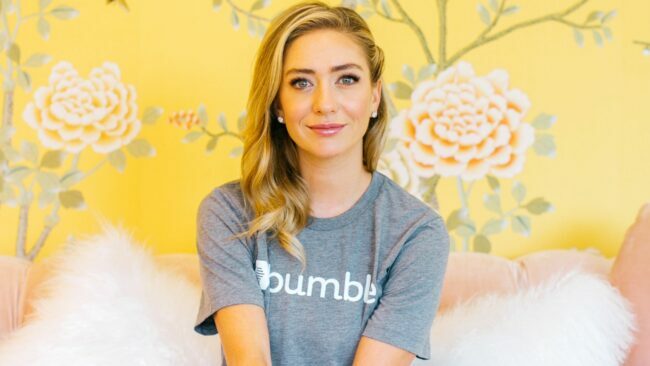 Herd, who is now worth upwards of $250 million, founded Bumble in 2014 as a woman-led dating app. It was her second pass at a dating app. (She’s also listed as a co-founder of Tinder.) Herd sued Tinder for sexual harassment after she left the company. Her lawsuit alleges her former boyfriend and boss harassed and threatened her after their relationship fell apart. She settled the suit for just over a million dollars. Herd then moved to Austin, Texas and launched Bumble in 2014. Bumble differs from other dating apps because only women can initiate messaging. Bumble, with its majority-female team, wants to cut down on the abuse and unsolicited pictures women experience online. Herd is now riding a female-empowered tech startup to multimillion-dollar success. Jennifer Tejada has unicorn status. Her startup, PagerDuty, is worth $1.3 BILLION dollars. TechCrunch calls Tejada “The secret weapon of one of Silicon Valley’s fastest-growing startups.” PagerDuty has companies likes Capital One and Netflix among its clients. Tejada hasn’t made many headlines outside of the tech industry, but her startup lets big corporations know how their companies are performing. Tejada has liberal arts and business management degrees from the University of Michigan. The perfect double major helped lead her to her role as both a finance software guru and a people person. She has a knack seeing opportunities that others might miss. Combine Instagrammable beauty products with a female-led tech startup, and you get Winky Lux. Founder Natalie Mackey is actually the CEO of “The Glow Concept.” It’s a firm which touts itself as a holding company for millennial color cosmetics brands. The idea behind it all is that technology is changing the way people buy makeup and skin care products. The Winky Lux Instagram page features striking pictures heavy on the pink and green cosmetics. It’s catching the eye of the youngest shoppers through one of the most popular social media platforms for people under 35. Mackey embraces the idea of fast fashion in cosmetics, or fast-beauty, as she told Forbes. The idea is to find out what’s trending online and turn it around into accessible beauty products for young women. Winky Lux is not just what you see on the surface. Mackey lists technical support, data analytics and media buying among her specialties. According to her LinkedIn page, she attended the Parsons School of Design. What’s a neglected $77 billion industry that needs a tech solution? It’s lawn care, and a company called LawnStarter is offering that solution. As an online and mobile platform for lawn care, LawnStarter began in 2014 with just two guys from VCU. 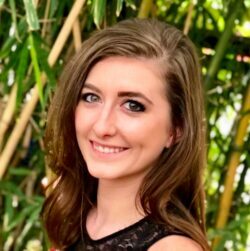 But as the company grew, got accepted into Techstars in Austin, and began looking into expansion, the founders reached out to Kuchta, a former marketing lead at Modernize. Kuchta bore a well-known marketing reputation in the Austin start-up scene. Her specialty was taking boring industries, such as home installation, and boosting their image through targeted online ad campaigns and engaging content. Her success in this area flourished with Modernize, but Kuchta achieved even more with LawnStarter by building an effective marketing team. The company now serves in over 102 metro areas and continues to grow—thanks in large part to Kuchta. For decades, companies have been taking regular products, like pens and razors, making them pink and selling them at a higher cost to women. Women also pay more for haircuts and dry cleaning, and do we need to mention the tax on menstrual products? It’s the so-called ‘pink tax’ that drove Georgina Gooley to start a wellness company. Billie advertises itself as offering “high-quality shaving supplies and body products at a fair price, without the pink tax.” No pink razor, no paying extra. Gooley set about disrupting the male-dominated shaving industry by refusing to charge women more for the same product. She raised $1.5 million in funds from investors, family, and friends and set about creating an affordable razor. Billie launched in November of 2017 and hit its goals within the first months of operation. Billie even offers a Pink Tax Rebate, to reimburse customers for all the years they were overcharged for shaving products. Gooley hails from Australia, where she attended university. From there she worked in public relations, marketing, and media relations, before founding Billie. You can count two women of color as the godmothers of more than three dozen female-led startups. Yes, adding Sutian Dong and Anu Duggal to the list makes six inspirational women. 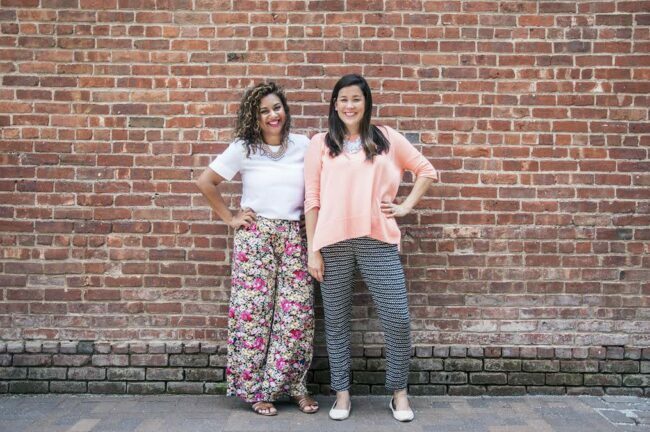 But this duo is the power behind the success of startups like Billie, Winky Lux, and Bento Box. The Female Founders Fund is a venture capital investment firm that invests in talented women and their ideas. Duggal first created the Female Founders Fund in 2014, bringing on Dong in 2016. Dong’s experience in investing, finance and marketing proved invaluable. The Female Founders Fund has invested tens of millions of dollars into female-led ventures, a niche market that went largely unmet until recently. Duggal, who was born in India, says her first venture came in 2005 when she opened India’s first wine bar. Dong was born in China and holds a bachelor’s degree in Finance and Marketing from the Stern School of Business at New York University. Dong has worked as an investor at FirstMark Capital, another early-stage venture fund in New York City. She also served as the Marketing Director for Norisol Ferrari, a luxury clothing brand. Duggal and Dong only require that at least one of a startup’s founders be female in order to pitch their ideas. They’re determined to level the playing field for talented women with big plans. On the leading edge of innovation, up and coming startups are a daring challenge for both men and women to delve into . They’re often a more relaxed place to work. That doesn’t mean tech is immune to the sexism that plagues more traditional professions. Nonetheless, there’s a growing list of women overcoming the odds to become successful and pave the way for the generations of women to come. Kath Johnson is a freelancer interested in technology and leadership. She has written for REMAX, Lennar, and renewable energy sites. When she’s not working, she can be found hiking or eating tacos at her favorite food truck.